Kness Group intends by the end of 2019 to build a solar panel factory with an annual capacity of 400 MW in Vinnytsia, the press service of the State Agency on Energy Efficiency and Energy Saving of Ukraine has said. According to the agency, construction will be conducted in two equal stages in terms of output. It is planned that the company will create about 400 jobs. 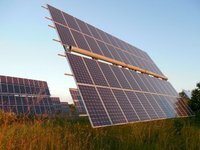 The agency said Kness had already built 33 solar power plants with a total capacity of 225 MW in seven regions of Ukraine. Kness is a large EPC contractor. It includes the engineering company Podilsky Energoconsulting, sells inverter equipment, power collection cabinets, generation monitoring systems and support structures for Ukrainian-made solar panels. As reported, previously Enhol private enterprise launched a line for assembling solar cells in Energodar, Zaporizhia region. The capacity of the technological line is 15 MW per year. The Ukrainian legislation provides for surcharges to feed-in tariffs for power plants that use equipment manufactured in Ukraine.